While people mostly go for a pair of headphones when it comes to listening sounds from a computer, there are still those who prefer plain old speakers. Headphones might not be comfortable to wear day-in and day-out, which is why you need to have the best speakers to have a fantastic audio experience. Like any other technology, speaker technology have upgraded over these past few years and its hard to select the best one just from paper. There are certain things to look for when you are looking for a speaker like how is the sound and is it comfortable to use it for long durations. Secondly, you should consider what you will do with the computer speaker. You might use it for gaming where small details like footstep matters or you are just a movie buff. If you fall in the latter category and in search for an AV receiver for your Home Theatre, here is a good article on this website. 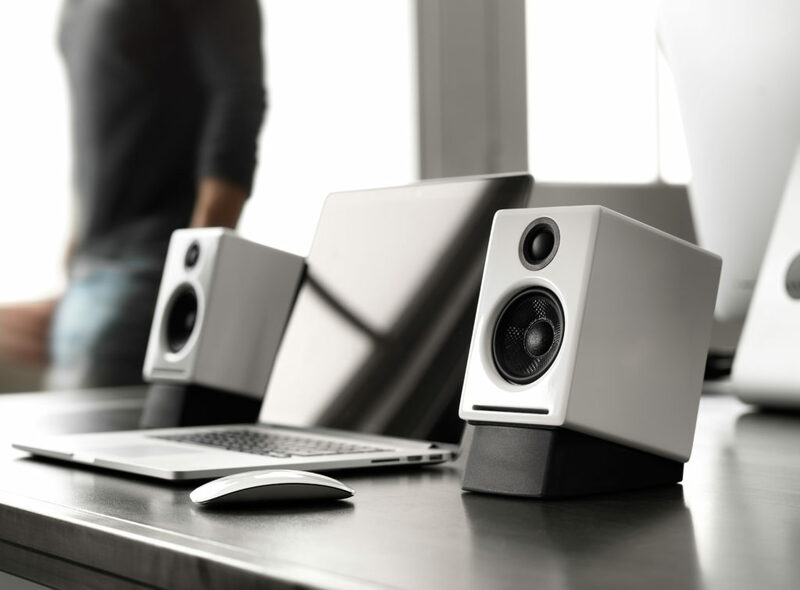 No matter what you are doing, the best computer speakers will make you love your work and give the best value for your money. 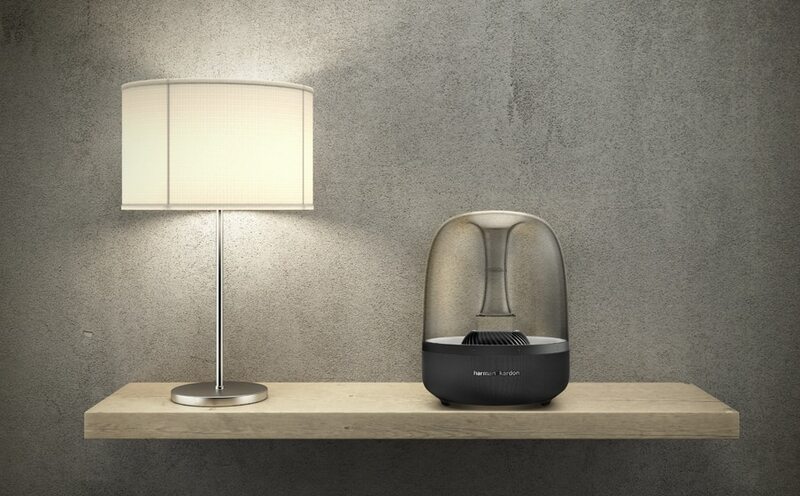 That’s why we have rounded up ten of the world’s best computer speakers for this year. While selecting them we have considered everything from specs, pricing, and performance. So if you are looking for great sound without wearing headphones, here is the list of best computer speakers available in the market. Audioengine A2+ delivers the best performance and scores on all fronts. 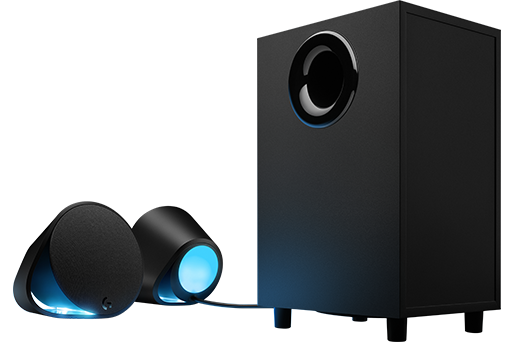 The speaker might not be the best looking in the list, but it gives a full and crisp sound to your favorite Spotify playlist, Netflix movie or any other game. 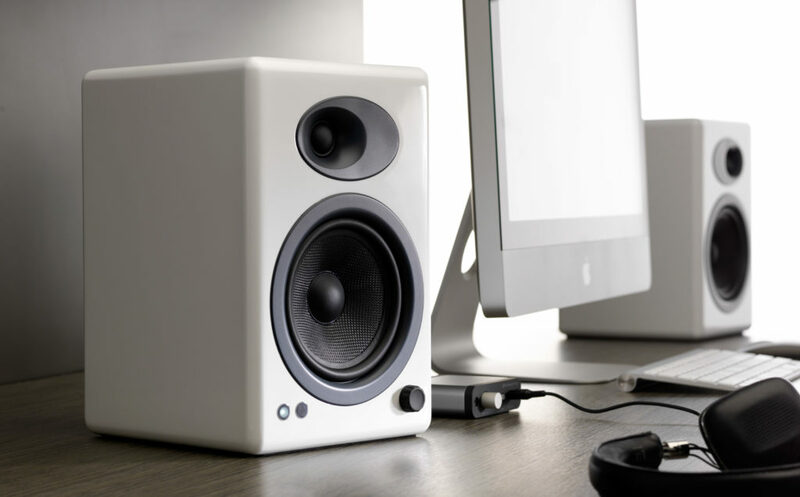 The sound quality hits the sweet spot for computer speaker, striking a perfect balance between the performance, size, and audio quality. Don’t fall for its small size, it can comfortably provide adequate sound to a medium size room. Connectivity features include 3.5mm, RCA and USB. It lacks Bluetooth support but the price makes up for it. If you don’t want to spend more time in the article and want the best scoring speakers, this is it. It is a direct upgrade to the Audioengine A2+ in every aspect except the price. It handles anything you throw at it whether it is a game, movie or music. The sound is crystal clear and crisp with no muddiness. The bassheads who prefer sub-powered bass might feel a little disappointed as it doesn’t provide the best in the list. Due to its size, you will likely need desk space for proper setup. If the price hasn’t already turned you off, you should definitely consider these speakers. Logitech is a household name in home entertainment and gaming industry, but the Logitech G560 brings out the best of both. They come with RGB lightning which can be adapted to any type of content through Logitech’s software. The software allows uses between two modes for the speakers. The Hardware mode ditches the software and uses Bluetooth or AUX input devices for lightning. When switched over to software mode, it allows to choose between fixed color, color cycle, breathing, audio visualize and screen sampler lightning modes. The surround sound works flawlessly and really does wonders in gaming. The screen sampler is one of the best additions where the software takes user-defined areas in screen and extends the color outwards for an immersive lightning experience. If you want a speaker that doesn’t look much like a speaker, go for this one. It is sure to turn heads with its transparent casing complimented by rubberized bases, a white light radiating from the sub along with a blue light when connected in Bluetooth. Efforts have been made even outside the speaker with durable silver braided cables. But don’t let the looks fool you. This is a speaker that performs surprisingly well and we dare say ‘great’. The two satellite speakers handle the mids and high brilliantly while the adjustable subwoofers manage the lows. The bass is incredible and bass-lovers will love it. In terms of depth and richness and sound, it even scores better than the Logitech’s G560 in any content be it movies, games, and music. 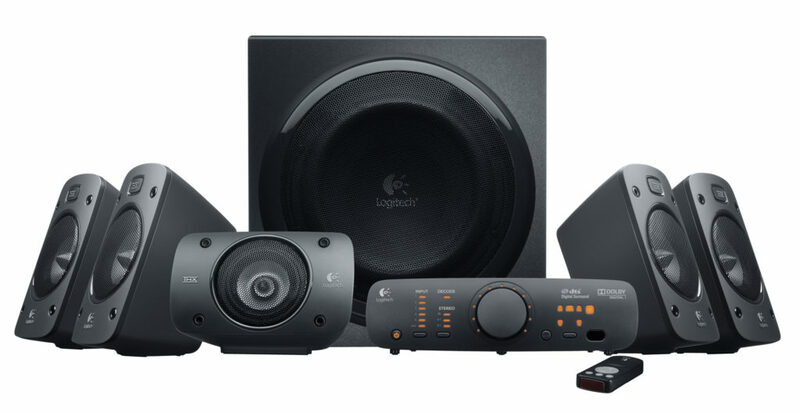 The Logitech Z906 5.1 has excellent built quality and practical functionality. With its immersive audio feature, it delivers one of the best 5.1 surrounding sounds at an affordable price. The speaker performance is excellent with a subwoofer that isn’t aggressive at its output and handles the lows pretty well. The highs and mids are handled by the satellite speakers make it easy to place them. The sub, rear, center and front speaker volumes can be independently adjusted to get the desired sound effect. Switching between 2.1, 4.1 and 5.1 is relatively easy through the 2.1 modes can’t be compared to the likes of Audioengine A2+. The center console allows input control, stereo mode and independent control of each of the five satellites. If you are looking for a gaming-centric speaker, Razer has a solution for you in the form of the Razer Leviathan. 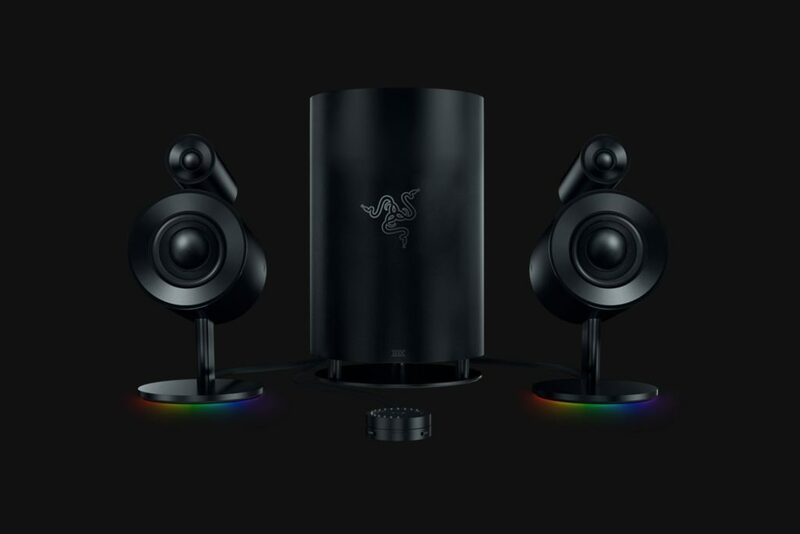 Razer has managed to achieve a perfect compact speaker system using multiple drivers and Dolby Pro’s wizardry. The soundbar is designed to be placed underneath the monitor and comes with both wired and wireless input options. 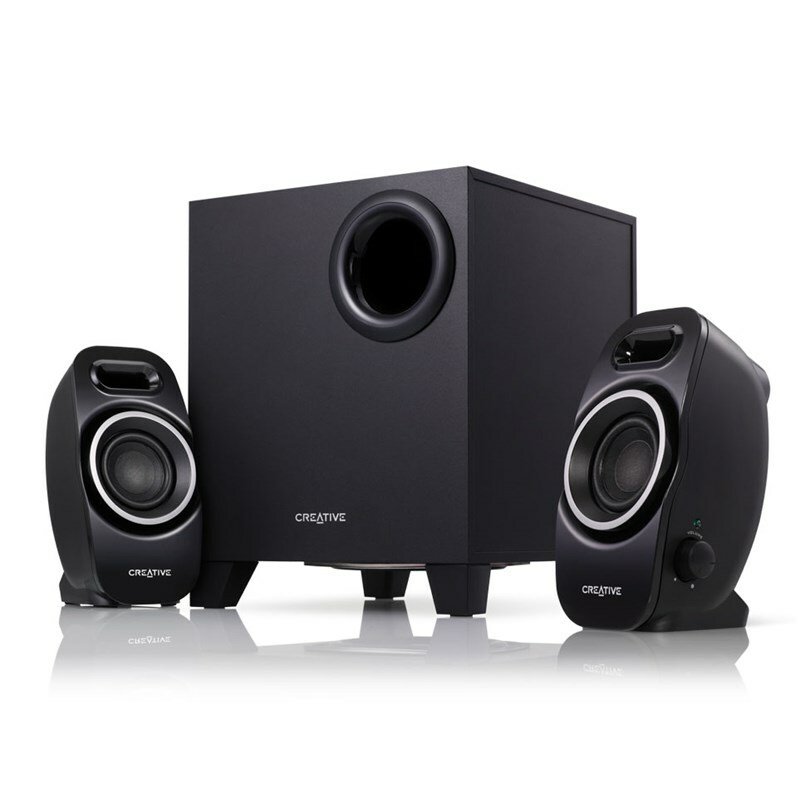 As for its performance, it certainly won’t match an actual 5.1 surround system but performs exceptionally well. The high and lows carry a lot of in-game details while the bass adds to the immersiveness without muddying the sound. 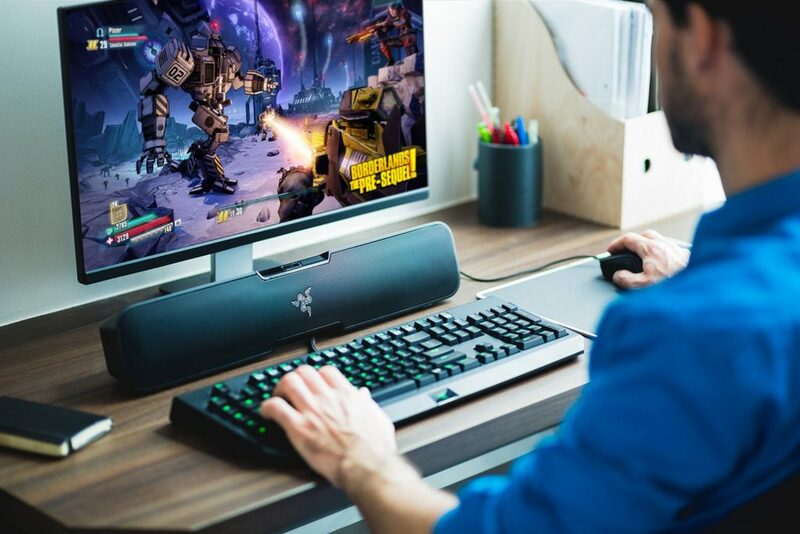 The Razer Leviathan has Bluetooth support, Optical and 3.5 mm connection along with NFC support that lets you connect instantly with an Android phone. If you are looking for best budget speakers below $50, Creative A250 stands apart from the competition with awesome sound quality despite its small size. With a total output of 9 watts, it even performs better and gives crisper audio than some of its competitor that uses twice or thrice the amount of power. However, due to its low price, the product has to sacrifice the build quality. The sub performs well and defaults audio is decent. The gaming lads will like this speaker though music and audio buffs may not like it for its slightly muddy mids and volume distortion at higher volumes. It might not be flawless, but it gives the best bang for the buck. The Edifier e10s comes with a visually pleasing design. It managed to impress us with its audio quality delivering crystal clear mids and highs. The lows are not that great but are still great for a 2.0 system. The only issue we found on the speakers is the lack of individual bass, mid and treble controls. But we should keep in mind that these speakers are not for the EDM fanbase. The speakers may struggle with heavy bass tracks at high volumes. At this price, not only Edifier Exclaim e10 manages a unique look but deliver premium sound. Though Razer Nommo comes with a weird name and a hefty price tag, it makes it up with its great build and excellent sound quality. It features Razer Chroma, so they look just as good as they sound. Like the Razer Leviathan, the sub gives an excellent performance and will make you feel the lows. The audio from the satellite balance is clear while there is some equalizer added via the Razer software. You can tweak around to find the perfect settings for yourself. Overall, the Nommo Pro does quite well. They are flexible and performs better than the G560s. You will love the 2.1 system and the plethora of connectivity options. The only drawback is that it falls on the expensive side but if you can afford, Nommo Pros are a great choice. This speaker from Edifier comes with a faux-wood casing though it really looks nice. The speakers will give a premium vibe in a room. Their solid design comes with a quality build and robust weight. It shines where the Edifier e10 lack, the bass factor. 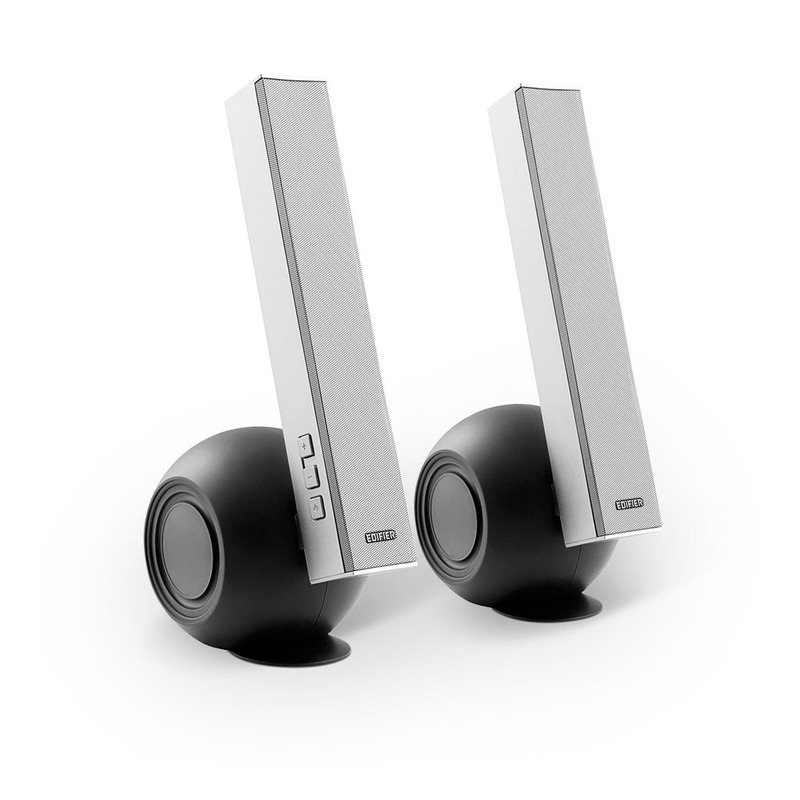 The BT stands for Bluetooth which means the speakers play your favorite music wirelessly. The mids and highs are decent while the bass is incredibly strong for 2.0 speakers. 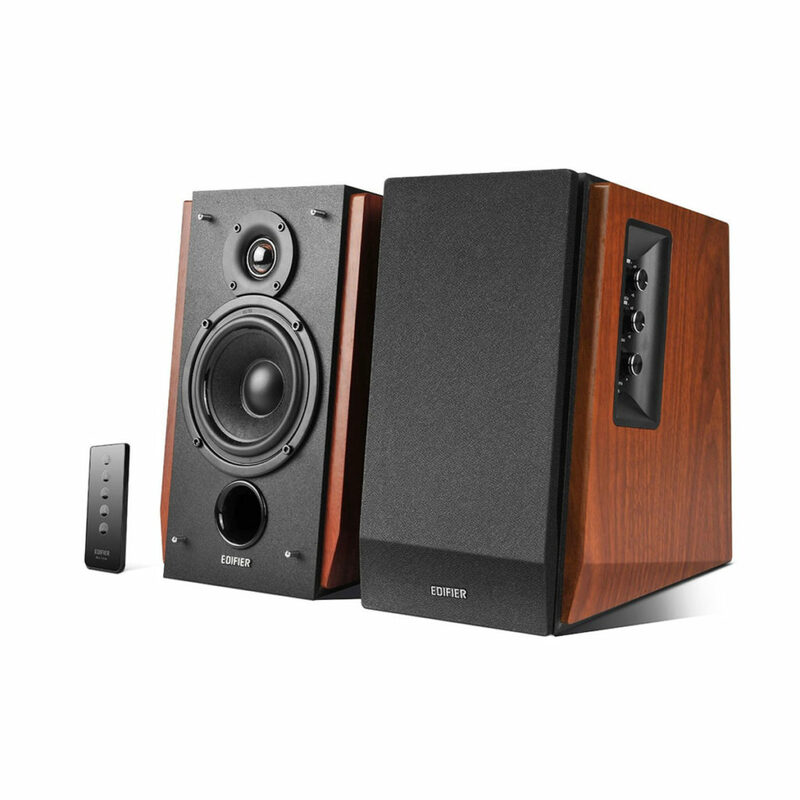 If you have no issue with the wood and want a bit of extra bass, the R1700BT’s might be the one you are looking for. So, this is the final list of the ten world’s best computer speakers. Hope, you have found the article useful and got your speaker as per your requirement. Make sure to leave a comment which speaker you liked the most and why. Previous articleMacX MediaTrans Review: Best iTunes Alternative for Mac? Gocomma USB 3.0 to SATA/IDE Hard Disk Adapter Review: Why You Should Buy One?